Foldable Frame- allows you to store this electric bike in small spaces! 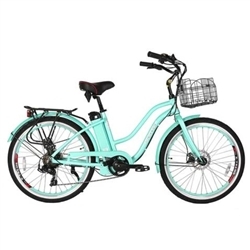 An electric bicycle works just like a regular one, but you can avoid having that bucket of sweat pouring off you by the time that you get to work. 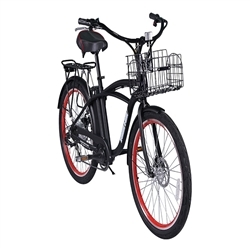 You can turn the electric system on the bicycle on or off. So if you want a real workout simply turn the e-bike off. This is like riding an exercise bike in the house that actually moves you around, too. 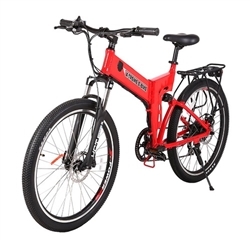 E-bikes are also a great way to travel and you can choose freely between exercising heavily and lightly.